Hey there Guys. I'm playing Final Fantasy 7, great game of course and i have a problem. (Sorry if this has been asked already) So i downloaded the music patch, works great, but the issue is that when i go to play it, the music plays over the midi, and if i go to Config in the game and mute the music, it turns off all the sound EXCEPT the music. Anyone know how I can fix this? Use Aali's custom driver, and have that mute the midi. You're using either Vista or 7, both of which eliminate midi-exclusive volume changing, and replace it with per-program volume. FF7 tries to mute midi, but mutes all sound instead, so you have to mute it from the outside with other software. Of course make sure you get the latest version. Alternatively you can download LoopBe and set that to your midi device in FF7 Configuration. See this for more detailed information and links. Ok very good ideas. Where can i download Aali's Custom Driver? If that still doesn't work, you can look for a custom midi driver online, set FF7 to use that device, and mute it. 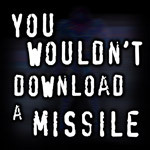 That's what i did when i was using FF7 on a laptop with vista, but I use my real computer with XP now so i don't have to worry about it.